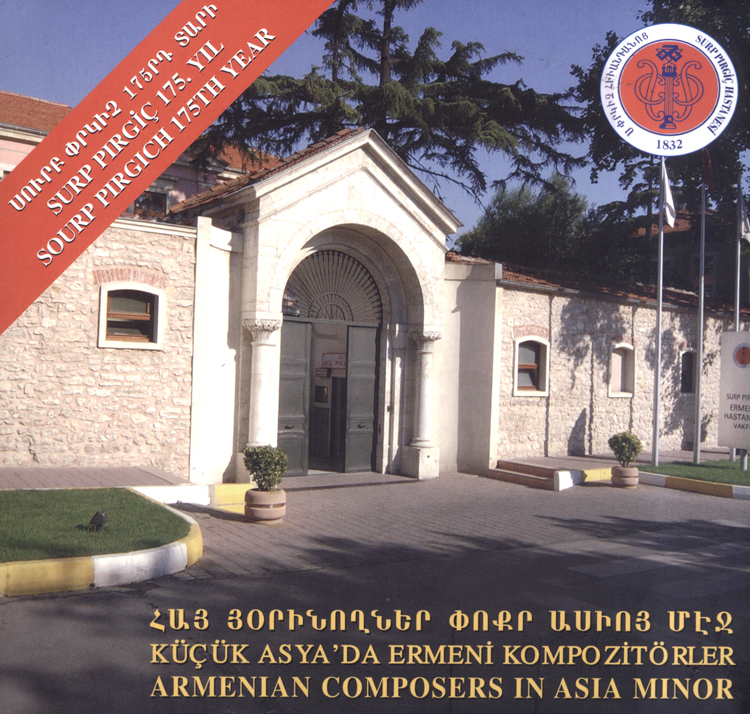 Produced on the occasion of the 175th anniversary of the foundation of Sourp Prgitch Hospital in Istanbul, this CD features the work of 15 composers performed by some of the best contemporary singers in Istanbul. The CD comes with a 90 page booklet in Armenian, Turkish and English that provides the lyrics to the songs and details about the hospital and singers. The vocal artists include sopranos Alis Manukyan and Jaklin Carkci, baritone Kevork Tavityan, pianist Sahan Arzruni, violonist Ani Inci and the Kazaz Artin Choir conducted by a host of local maestros. They play music composed by Tchouhadjian, Sinanian, Manas, Alemshah, Gazarossian, Atmaciyan, Karamanuk and Eroyan among man others.